FAYETTEVILLE, Ark. – There are just three more chances to see the University of Arkansas women’s basketball team in Bud Walton Arena this year and Sunday is one of those days. The Razorbacks (16-8, 5-5 SEC) host Auburn (17-6, 5-5 SEC) in a 1 p.m. tip Sunday in a game televised by the SEC Network. The winner of Sunday’s game moves to six SEC wins which would tie for total victories with Kentucky and Missouri in fourth place in the conference standings. Missouri hosts Vanderbilt and Kentucky plays at Alabama on Monday. Chelsea Dungee and Malica Monk continue to produce the lion’s share of scoring for Arkansas. 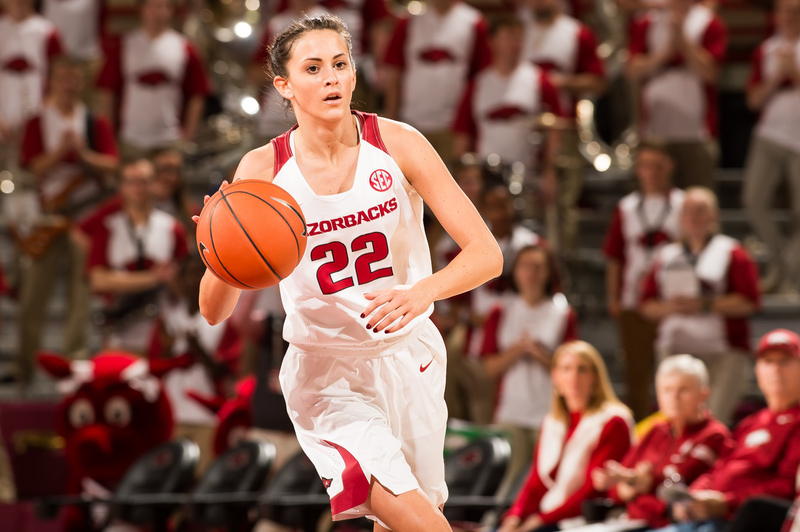 Dungee leads the Razorbacks and is second in the conference averaging 18.0 points per game. Monk checks in with 14.3 ppg to rank No. 14 overall. Sunday’s game is a precursor to back-to-back road games at Kentucky and Georgia next week. Arkansas then hosts Ole Miss Feb. 24, and Missouri Feb. 28, in the final two regular season home contests of the year.